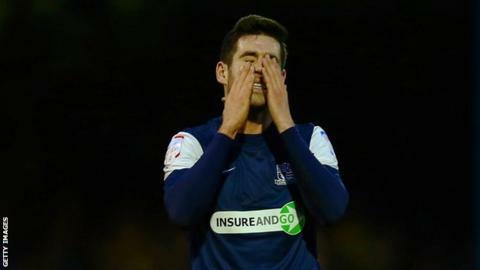 Southend United midfielder Michael Timlin will miss the rest of the season after breaking his leg. The 27-year-old was carried off in Tuesday's 1-0 first-leg win over Leyton Orient in the Johnstone's Paint Trophy southern final. The League Two side confirmed on Wednesday that the man signed from Swindon last year had suffered a fractured tibia. Timlin has made 35 appearances in all competitions this season. Southend United manager Paul Sturrock told BBC Essex it had taken some of the shine off the win at Brisbane Road. "I'm gutted for him [Timlin], it's a suspected broken leg," Sturrock said. "It does look bad. "I'm really disappointed, the lad's been a stalwart for us. He has his good days and his bad days but he wears his heart on his sleeve. I'm just absolutely gutted, it's put a dampener on the night."